Today's Beer Special... Amusing Vintage-Style Tin Sign | BUDK.com - Knives & Swords At The Lowest Prices! 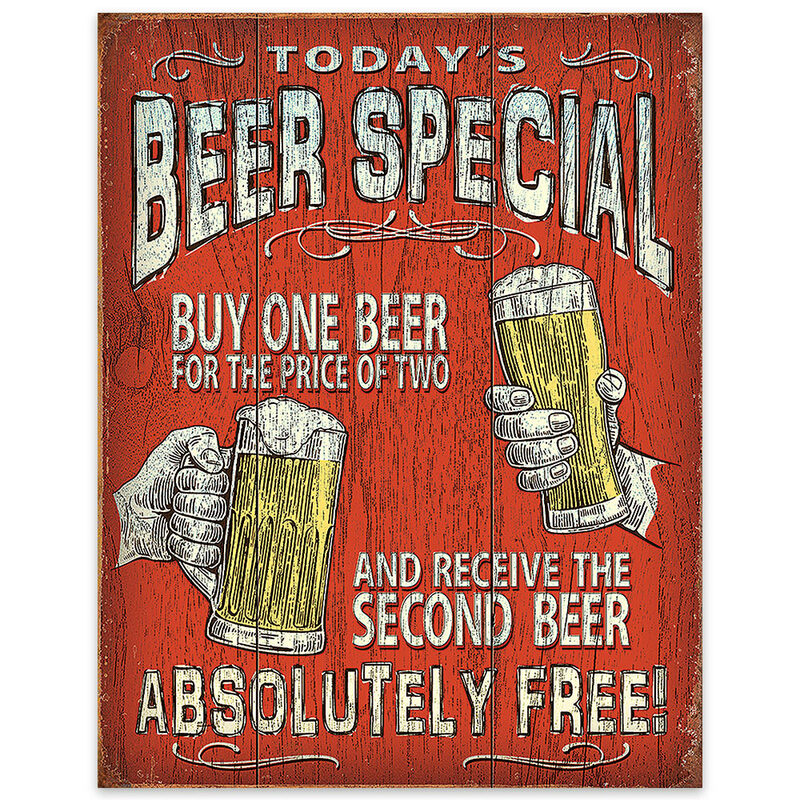 Vibrantly colored and stylishly weathered, this cool 16" x 12 1/2" tin sign features a smart, classic design and amusing text sure to make any beer drinker smile. It's made of durable, corrosion resistant metal and features vibrant, fade resistant inks and a realistically aged patina. Eye-catching and unique, it's perfect for a home bar, man cave, garage, office or any space that could use a touch of vintage charm! Get two - one for yourself and one to gift. It makes a funny, memorable present any drinking buddy would appreciate!